Fist Salud launched a new yoyo brand at EYYC, and we are STOKED. Dubbed “MOWL“, they’ve got one yoyo and some apparel already and we can’t wait to see what else Eiji and his crew come up with. 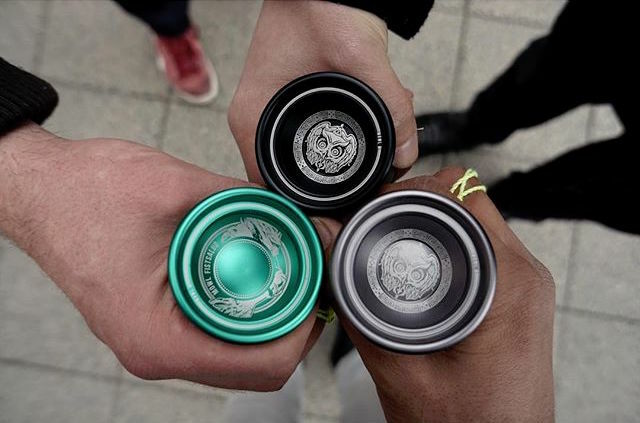 All three colorways of their first yoyo went on sale at EYYC, with the green edition being reserved exclusively for Fist Salud members and close friends. No word on when these will hit larger distribution, but we’ll let you know as soon as we know.